We've got completely pandemonium in Kansas City. 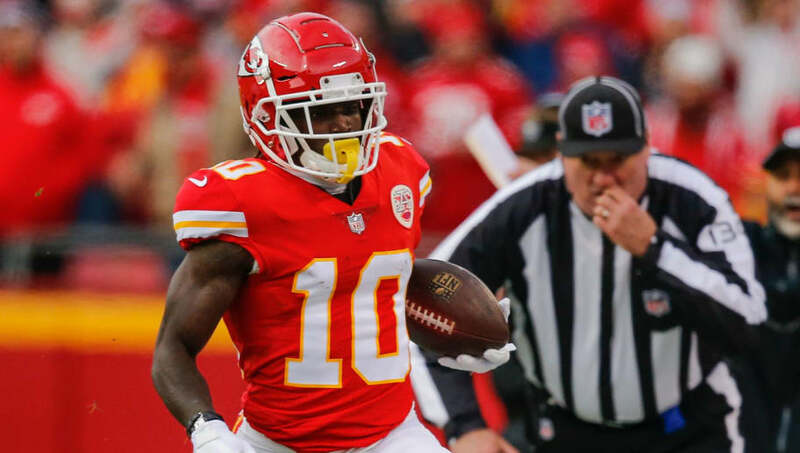 ​​Chiefs star wide receiver Tyreek Hill is currently under investigation for battery according to the Kansas City Star. The team released a statement in response to the allegations. ​​"The club is aware of the investigation. We're in the process of gathering information and have been in contact with the league and local authorities. We'll have no further comment at this time." Police are investigating both Hill and his fiancee as part of a battery case involving their son. Hill has yet to be charged with a crime. The news of the allegations against Hill come in wake of the announcement of disgraced former Chiefs running back ​Kareem Hunt's eight-game suspension for violating the league's personal conduct policy. Not only is this another bad look for the Chiefs organization, but if the investigation uncovers that Hill was culpable in any way, they could end up making the tough decision of releasing one of the best playmakers in the game. Hill has had problems with domestic abuse in the past, including a case in 2015 where he plead guilty to domestic assault and battery by strangulation. This latest update on the speedster is simply worrisome.